L.A.’s Fairfax Avenue has long been a meeting place for diverse cultures. It became an artery for the Jewish community in the 1950s, and the original Farmers Market has been a central gathering ground for Angelenos of every stripe since 1934. 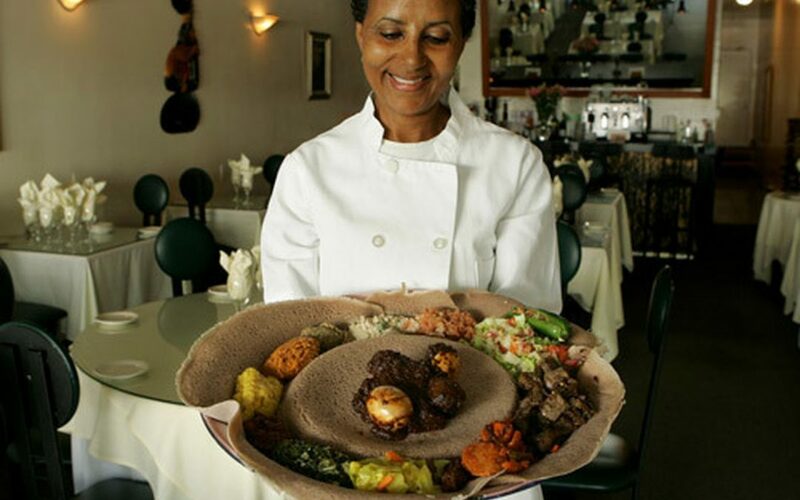 The most recent arrivals to claim a slice of Fairfax as home are Ethiopians, who in the 1990s began forming a critical mass of restaurants, markets and service shops between Olympic Boulevard and Whitworth Drive.